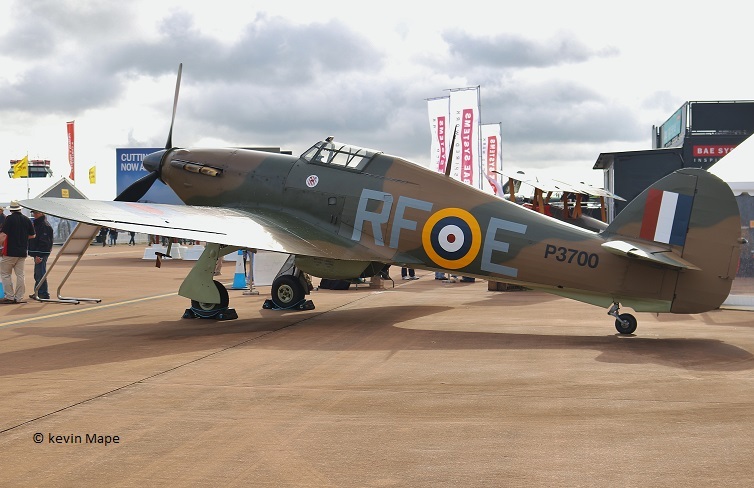 British classic Fighters No.1 – Hawker Hurricane. 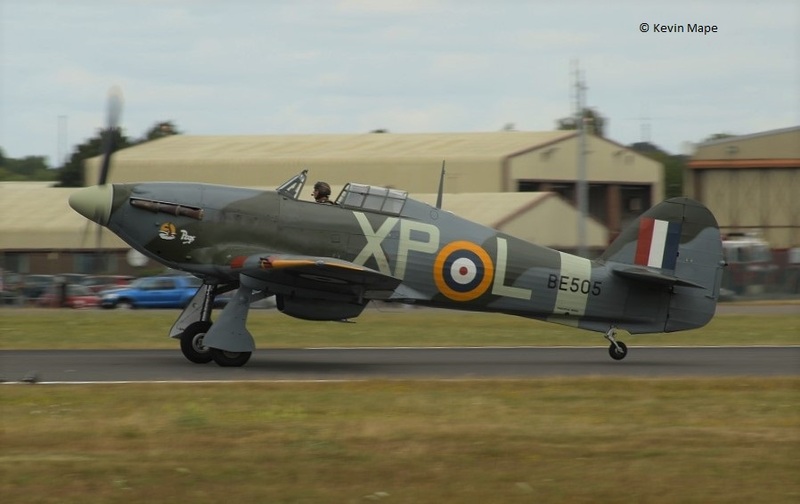 When you think of British built fighter aircraft the Hawker Hurricane comes to the top of my list, I have put a list of Hawker Hurricane’s that are known to exist around the world for my own use. L1592 : I : (wears KW-Z 615Sqn ) Displayed in the Science Museum London UK. L1639 : I : Under Restoration to taxy condition at Little Gransden UK. N2394 : I : ( wears HC-452 / 5 Finnish Air Force ) – Displayed at Tikkakoski Finland. 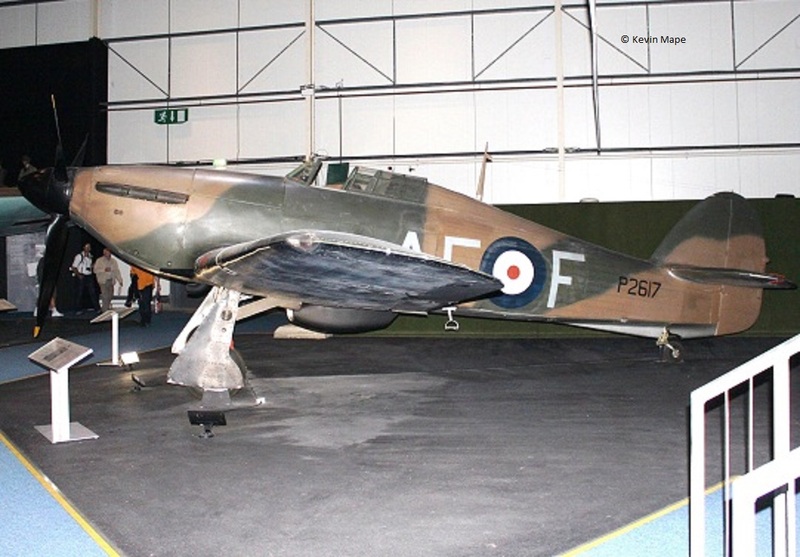 P2617 : I : ( wears AF-F 607Sqn ) Displayed in the RAF Museum Hendon UK. P2902 : I : (G-ROBT) Restoration at Sparr Farm Wisborough Green UK. P3175 : I : Remains – Displayed in the RAF Museum Hendon UK. P3544 : I : Cockpit section – Air Defence Collection Salisbury UK. 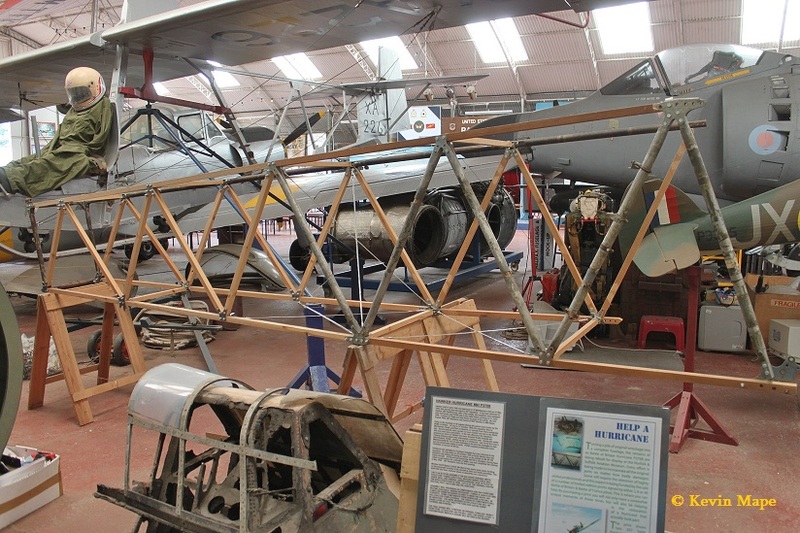 P3708 : I : Fuselage rebuild at Norfolk & Suffolk Aviation Museum Flixton UK. P3717 : I : wears SW-P (G-HITT) AW at Turweston UK. P5201 : I : (Wears AB832) Displayed at Indian Air Force Museum Palam New Dheli India. AP740 : IIb : Displayed in Krasnogorsky Nr Moscow Russia as “White 77” Russian Air Force marks. 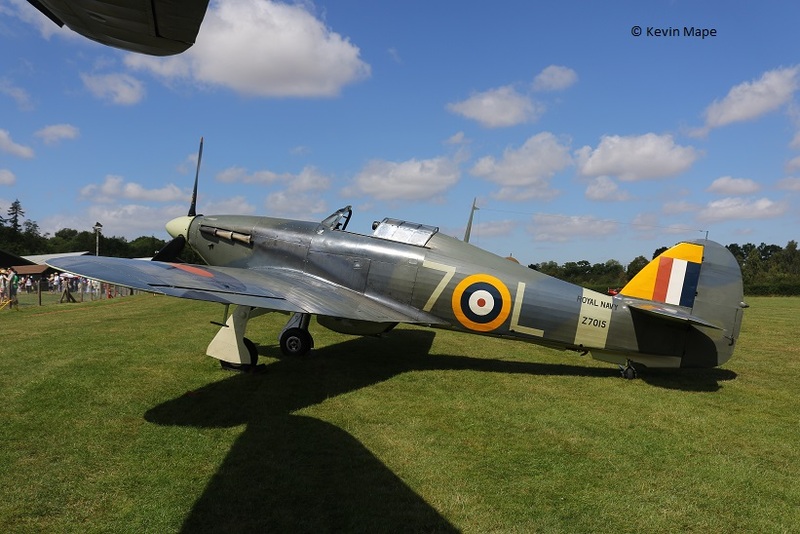 R4118 : I : (G-HUPW) wears UP-W AW Old Warden UK. V6846 : I : Preserved Patna India. V7497: I :(G-HRLI) Restoration at Moat Farm Milden UK. Z5053 : Ib : (G-BWHA) wears Z5252 – Stored – Moat Farm Milden UK. Z7059 : I : Wears “AB832” Preserved Palam India. DR393 : IIb :F-AZXR) (Ex Mk I P3351) AW France. 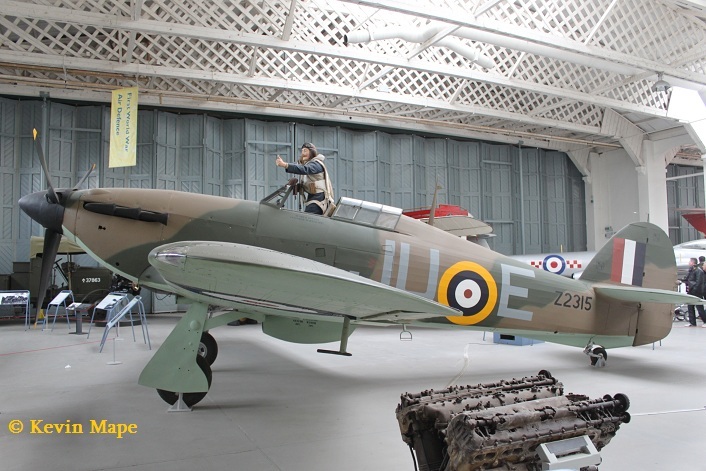 “Z2315” : IIa : wears JU-E 111Sqn – Displayed in Imperial War Museum Duxford UK. ex Russia. 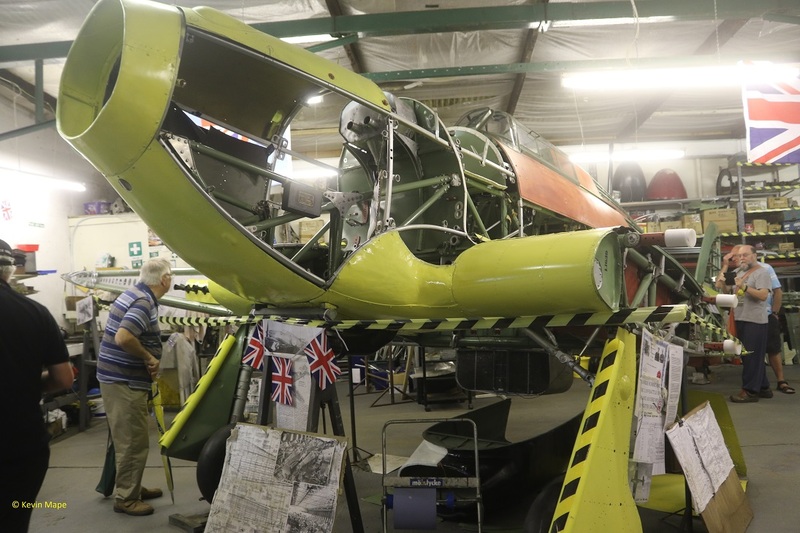 Z2389 : IIb : wears XR-T 71Sqn – Restoration to AW condition at Brooklands museum Weybridge UK. 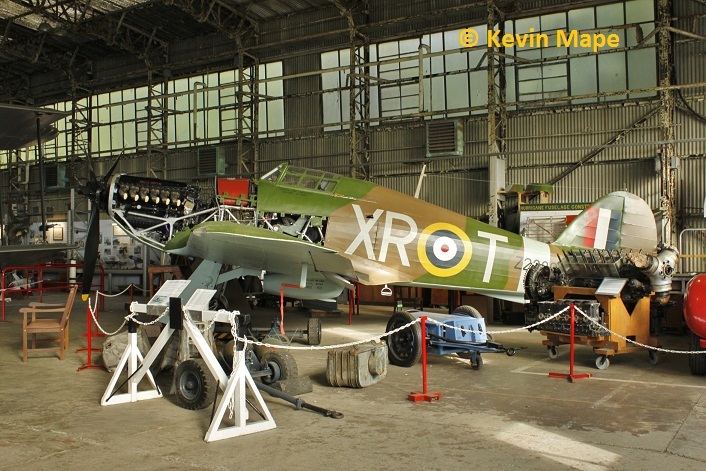 Z3055 : IIa : wears HA-E – Preserved Malta Aviation Museum. Z3571 : IIc : forward Fuselage – Stored Malta Aviation museum. Z5207 : IIb : (G-BYDL) Stored in Gloucestershire UK. ex Russia. Z5227 : IIb : Stored in the USA. BD713 : II : Ex Russia – Stored in Taunton Somerset UK. 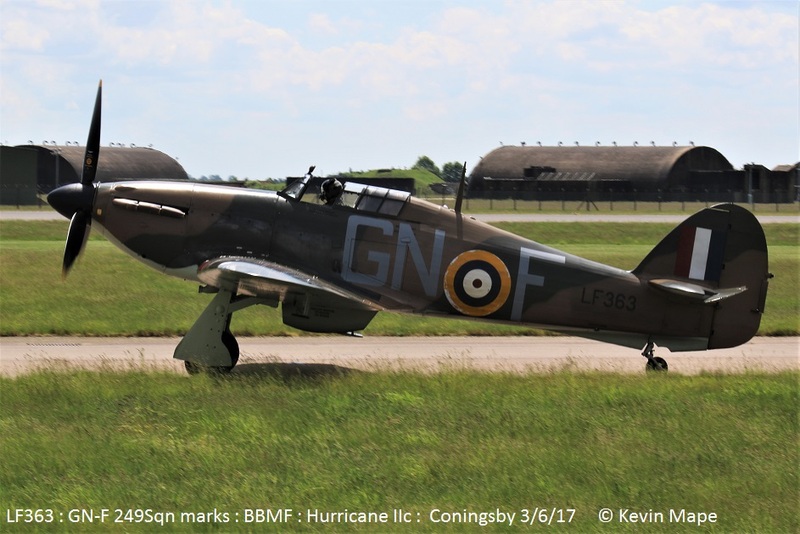 BE505 : IIb : (G-HHII) wears BE505/XP-L AW North Weald UK. BH229 : IIc : Displayed Wanaka New Zealand. BH238 : IIb : Wreck – Stored Sandown I.O.W ex Russia. BM959 : IIc : Displayed at Murmansk Russia. LD619 : IIc : Stored South African Museum of Military History at Saxonwold Gauteng Johannesburg. 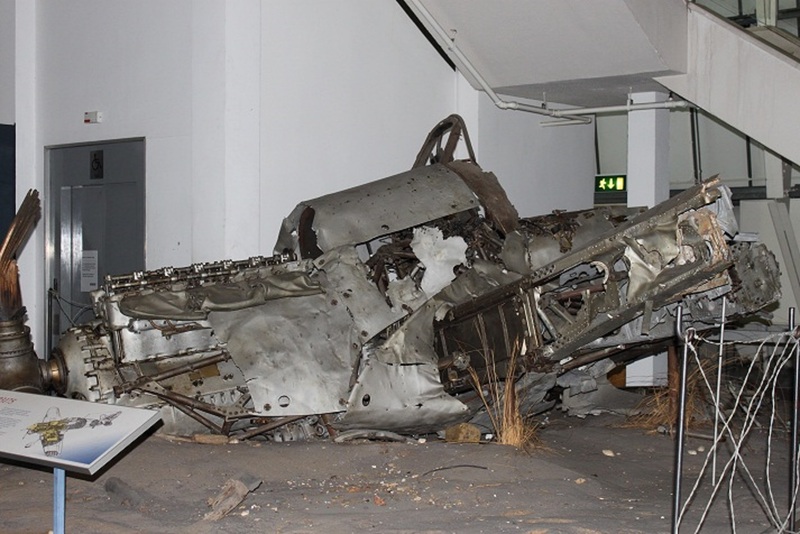 LF658 : IIc : ( wears LF345 ZA-P) Displayed at Musee Royal De I’Armee Brussels in Belgium air Force marks. LF686 : IIc : Displayed at the Smithsonian Museum Washington USA. LF738 : IIc Wears UH-A Displayed in the RAF Museum Cosford UK. 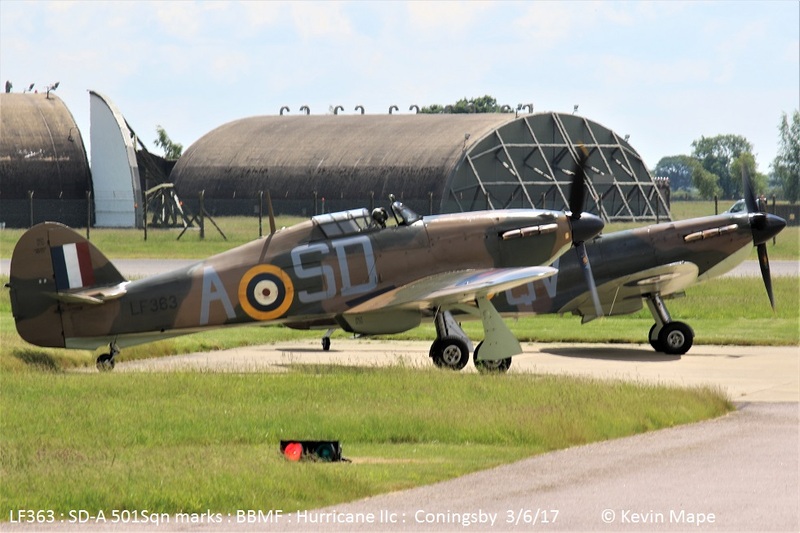 LF751 : IIc : Wears BN230 / FT-A 43Sqn – Displayed at Manston UK. 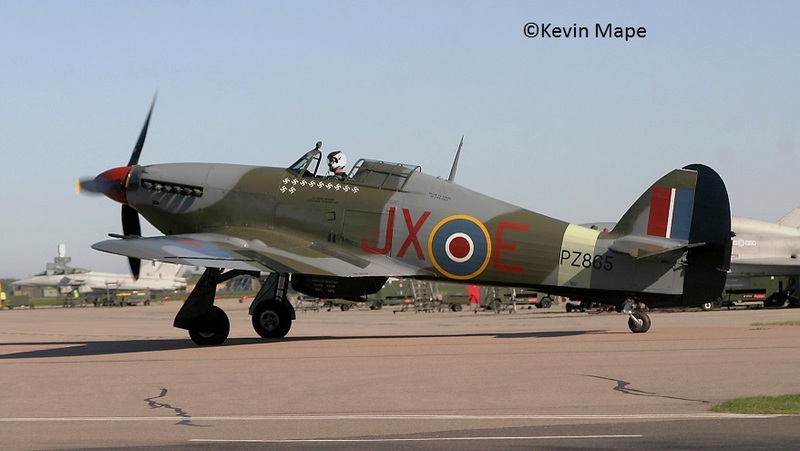 PZ865 : IIc : (G-AMAU) : wore 1Sqn/JX-E – Taken RAF Coningsby May 2007. 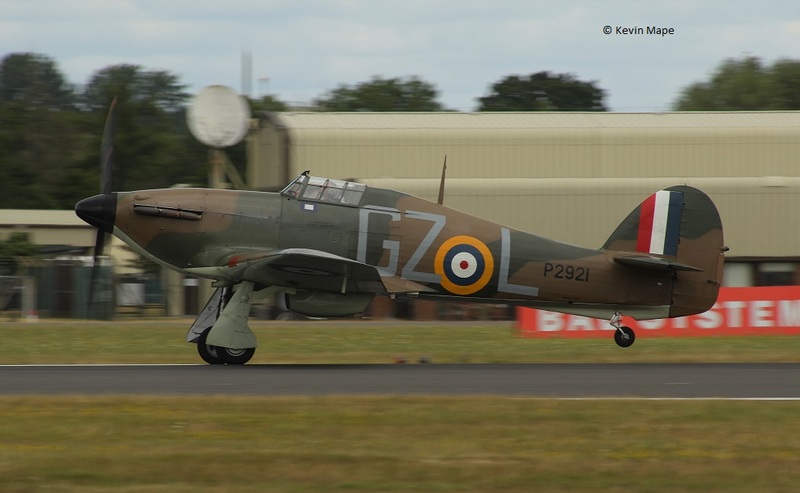 PZ865 : IIc : ( G-AMAU) : Wears EG-S :BBMF : AW RAF Coningsby UK. KX829 : IV : (wears P3395 JX-B) displayed at Millenium Point Museum Birmingham UK. 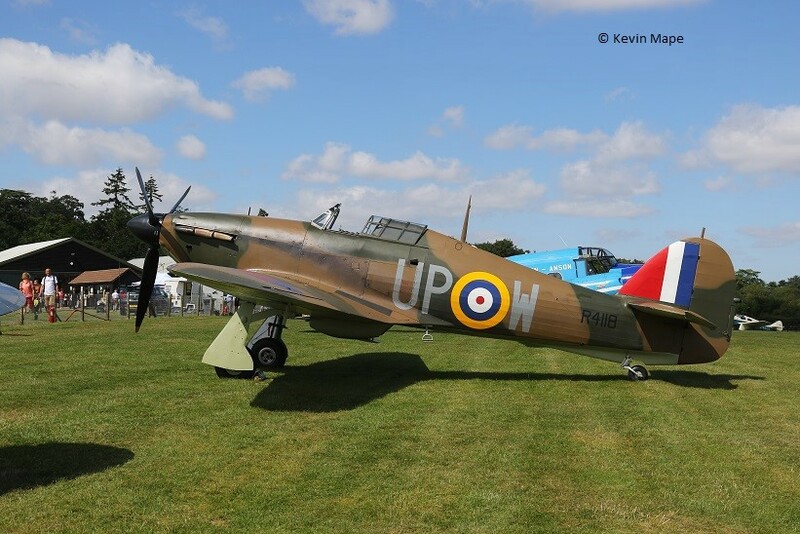 KZ191 : IV : Ex Isreali Air Force – Stored East Garston Berkshire UK. KZ321 : IV : (CF-TPM ex G-HURY) AW Gatineau Quebec Canada. AM274 : XIIb : (N274JW) AW Burlington USA. 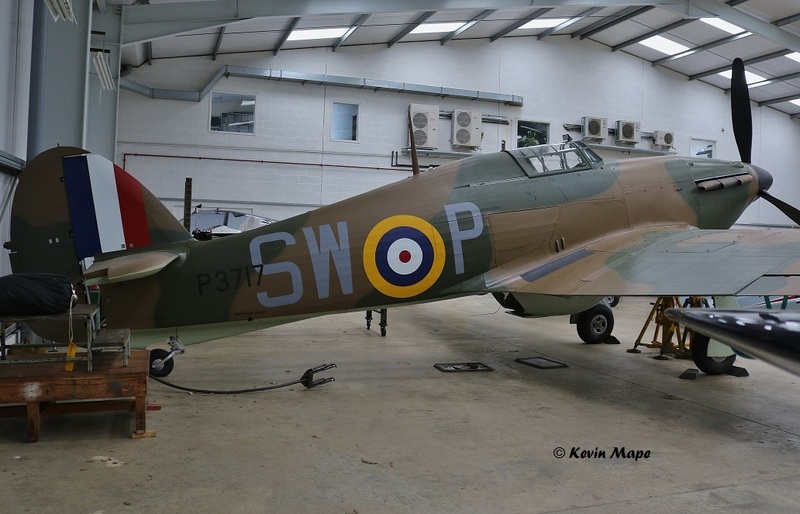 BW853 : XIIa : (G-BRKE) Restoration – Coswold Airport UK . 5389 : XII : Under restoration – Westaskiwin Alberta Canada. 5584 : XII : Displayed at Canadian Aviation Museum Ottawa Canada. 5708 : XII : N96RW Stored Loan Star Museum Gaviston Texas USA. AE977 : X : Wears “P2921/ GZ-L ” AW Biggin Hill Kent UK. BW841 : XIIa : Displayed Titusville Florida USA. BW862 : XIIa : Displayed Langley BC Canada.